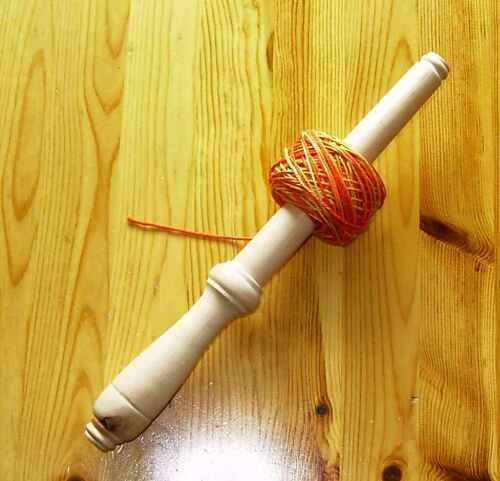 I recently learned what spinning swifts are for and then today learned about Nostepinne, Scandinavian yarn ball winders. I just recently learned how to wrap a center-pull ball, but the I bet a Nostepinne would make them look purt-near perfect. I am trying to figure out how to make one since I can't buy one. Someone mentioned you could use a fat marker which I do have so next time I need to wind some yarn, I'm going to try this. Ah, just found a gal who used a plastic part from a Play-Doh set as a Nostepinne and turned out a lovely ball, see, it can be done, lol. Ok, now I'm done... really.